The survey, which was done by a polling firm in January, came out of Newmark’s new venture Craigconnects, which he has said is an effort to help nonprofit entities of all kinds connect with supporters. But the Craigslist founder also has an often-stated passion for the issue of trust and the media — he has called a trustworthy press the “immune system of democracy” — and the survey was designed to look at consumer perceptions of both social media and mainstream media sources such as television, radio, Internet news sites and newspapers, and it was focused specifically on news coverage of the upcoming U.S. election. When it comes to “perceived credibility,” traditional news outlets can take some comfort from the fact that the survey showed newspapers, cable news and network news sources have the highest levels of credibility, much higher than blogs and social media sources. But the bad news is that only about 22 percent of those surveyed said they found traditional sources to be credible (blogs and social media were seen as credible by just 6 percent). And in a surprising ray of hope for newspapers, those between the ages of 18 and 35 were the most likely to see newspapers as credible, at 33 percent. The survey also asked what the most valuable quality was for a news source when it came to reporting on election news, and gave respondents a choice between “first to report a story” as well as “free of charge,” “in-depth analysis” and “trustworthy.” Close to 50 percent of those who responded (the survey posed the questions to 1,000 people nationwide) chose trustworthiness as the most important quality, and almost a quarter said that in-depth analysis was the most important. Just 6 percent of those who were asked said it was important that a news outlet be the first to report something. It’s dangerous to read too much into any survey, if only because people often tell researchers what they want to hear. TV surveys used to find huge numbers of people reporting that they watched PBS or nature shows, when in reality most of them were watching sitcoms. So it is possible that many of the people who filled out Newmark’s survey just said they were interested in in-depth analysis because they wanted to look smart or said “trustworthiness” because it sounded like the right thing to say. But the results definitely fit with the evolving nature of the news business online, one in which the trust of readers (or viewers) is far more important than whether an outlet was the first to report something. As the old “bloggers vs. journalists” war continues to rage in different forms and traditional journalists like Dan Lyons at the Daily Beast and Michael Hiltzik at the Los Angeles Times criticize what they see as a lack of objectivity in new-media sources, it is worth remembering that trust is the benchmark for any news outlet or media source — regardless of what medium it publishes through or whether those producing the content have degrees from a journalism school or ink beneath their fingers. And Newmark’s survey seems to confirm that the trust game is still wide open for anyone to win. Talking about trust, I donâ€™t trust ANY of these surveys, as everyone knows 70% of stats are made up on the spot anyways. And the fact that this was done during the election process skewed towards voters, it has lost all credibility for me. These surveys are conducted during the day by calling landlines. Do you know who is home during the day and still has a landline? And ONLY 1000 people surveyed? Wow. Regardless, it is hard to trust any writer these days because there are so many! Besides you, Arrington and a handful of other consistent and thoughtful writers, I canâ€™t think of any other writers I follow because media companies seem to be hiring new ones every day just to produce more content. Maybe Iâ€™m the 1% with the techy/early adopters group that just wants the scoop and will piece the facts together as the story develops. I just want to know whatâ€™s new, whether it comes from a journalist, blogger, columnist, mommy blogger or tweet. That’s a fair point, Matthew — and shareability has definitely become a big factor for media. But I think trust plays into whether it gets shared or not. Hi, great study, great insight; smart work, thanks. I take it back, I cut and pasted a small grammatical mistake directly from the article, and by the time I posted, it was fixed. My bad…..great article all around. 1. You want unbiased story telling based on reliable sources and comparative evidence. Without that you only have an opinion. 2. Trust falls on the reputation of the person or persons authoring the story, and not the label, corporation or parent entity they work for. 3. You have to ultimately decide whether or not a story is true based on points 1 and 2 above. Is Dan Lyon’s a “traditional journalist”? Fooled me. I think this is skewed because blogs and social media are much more varied and vast. I’d like to see perceived credibility across only the top new sources (top newspapers, top blogs, etc.) compared. I think traditional media would still come out on top, but likely by a lower margin. We “old media” types have been harping on this for years. W/O trust – you have zip. Trust me on this. Great article. I actually wrote something in a similar vein last year as lots of analysts and journalists explored this concept of the democratization of news. You’ve hit the nail on the head. Anyone can report news. But why do some people watch Channel 7 vs Channel 2? Why do some people read the WSJ instead of the NY Times? Because there is some unspoken connection between the reader and the writer. I feel like they are speaking to me. I share their beliefs. I share their opinion. Trust has never been about the information. Trust is about the way the information is reported and the analysis of that information (i.e., what it means to me, the reader/watcher). I think it is true on all accounts, regardless of being aimed at elections or not. I also write and the heat to be the first in news, I fee is self-defeating. I far more enjoy a well thought out article that shows me aspects I hadn’t considered than one that just dumps fresh news on my lap. First in line news articles are dry and have little reflection. While both are important, I favor the articles that make me think. It’s a personal thing, I guess. Great article! 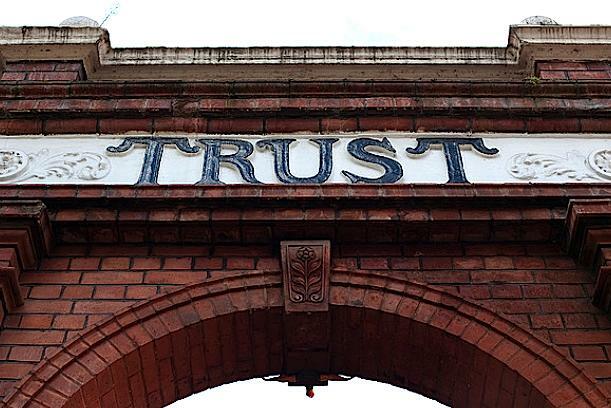 Does in depth analysis build trust or is trust required to read in depth analysis? I believe they are correlated and have feed back loops. The “news” media obsession with scoops is a relict of the past to grab attention. Today’s articles are still written like they are for a “single” news distribution, only “nobody” acquires news that way anymore. It’s time for the media industry to think about parallel distribution and how to structure articles and “news” in a world which is not sequential anymore, scoop happens, time to analyze, time to write, time to publish. In a parallel world the time will shrink to nearly 0 and he said she said articles also known as objective are questionable in the future. This survey was specific to election news? I’d hesitate to extend that to other sorts of news. As someone who has prioritized breaking technology news for years, but who has also worked hard to be thorough, thoughtful and trustworthy, I really think that with regards to some topics – people really do care about who reports first. Election results are classically misreported, but reporting first on new technology innovations or business news with actionable information is rewarded with pageviews and prestige. Mathew, you and the GigaOm team have done a fabulous job with analysis and de-emphasizing speed to reporting, but I don’t think you’re being thoughtful enough when you extrapolate from one survey and your preferences into an explanation of modern media in general. In the balance between speed and quality, I like to say, let’s try to be best and be first – and if we can’t do both then let’s try to be best. I think media organizations can strive to have their cake and eat it too. Some outlets will lean more towards one than the other, but I think there’s an important place for both in the media market. I think it really depends on how people get their news as to whether it’s important who gets it first. As a journalist I’m interested in who gets a story first but as a reader I am, intellectually, not that interested. But in practice I still end up reading the sources that get a story either first or early because of how I get most of my news: social media. There’s a big first mover advantage in being either being first or being the first loud voice because people don’t typically share multiple articles on the same subject and, except for really big stories, only one article on a subject usually makes the first page of sites like Reddit and Hacker News. But for people who don’t get their news from social media, it’s just not going to matter as much. They read, watch or listen to a few trusted sources and that’s it. But that can all change as more people get news from social media. The best and the ones we can rely on, confidently. The term “trust” gets us on an entirely different conversation. Having confidence I can rely on a news source is what keeps me coming back. And I do like your use of the term “best”, Marshall, as in best promises possible. But there will be no “winner” in trust. There are sleazy blogs that lie, and there are honest ones. And there are print newspapers like (Murdoch’s) The Sun with criminal reporters, as well as honest newspapers. Media will continue to be a Star Wars bar, with no single medium “winning” the trust game, but multiple people and entities proving trustworthiness on a day-to-day basis. That’s a great point, Rurik — I agree that no one will “win,” but I think there is plenty of opportunity for non-traditional sources to be among the winning.